While NATO officials are preparing for a July summit in Warsaw, European social activists and prominent politicians have launched a new anti-NATO campaign, protesting against the bloc's nuclear buildup and anti-Russia provocations, French journalist Karel Vereycken told Sputnik. At the Warsaw NATO Summit 2016, due to take place on July 8-9 in Poland, "NATO will enter the next phase in its evolution," according to NATO Secretary General Jens Stoltenberg. According to the Secretary General, NATO's enhanced forward presence in Eastern Europe, combined with the ability to deploy NATO forces quickly aims to send a clear message to Russia. "NATO and the EU are complementary, and we already work more closely together than ever before," Stoltenberg told Poland.pl, adding that the two blocs conduct a coordinated policy to counter the Russian "threat." "The EU delivered economic sanctions, and NATO delivered the biggest reinforcement of our collective defense since the end of the Cold War," he emphasized. However, it would be an exaggeration to say that the Europeans are unanimously welcoming the summit and its controversial and provocative agenda. Following the event announcement, European social activists and prominent politicians have drawn up a petition entitled "The Warsaw Summit Prepares for War, It's Time to Leave NATO Now!" "The upcoming NATO summit in Warsaw on July 8-9 is expected to be yet another provocation against Russia. By this call, we, the undersigned, want to say 'stop' to this nuclear escalation before the irreparable occurs!" the petition translated in German, Italian and French languages reads. "We the undersigned see that NATO is carrying out a provocative policy of 'encirclement'," the authors of the petition continue, referring to the Alliance's continuous expansion towards the Russian borders; the deployment of the Aegis anti-missile defense system in Romania, Poland, Turkey and Spain; NATO's military buildup in the Baltic States, Poland and Romania; and the creation of a "Nordic Front" against Russia, comprised of Denmark, Iceland and Norway as well as of NATO partner states Sweden and Finland. The petition has called attention to the fact that the modernization of nuclear weapons by the US and stationing new B61-12 guided nuclear bombs in Europe, poses a grave threat to the EU's security, evoking disturbing memories of the Cuban Missile Crisis of 1962. It urges European leaders to adopt a policy of the "empty chair" at the Warsaw NATO Summit of 2016 and to leave the Alliance, which no longer has any 'raison d'être' in order to put an end to this threat. Karel Vereycken, French journalist and founder of the Lyndon LaRouche-associated Agora Erasmus organization, a co-sponsor of the petition, shed light on the initiative in an interview with Sputnik. "The petition has just been launched, but signatures are coming from the entire political spectrum and mainly from ordinary citizens," Vereycken told Sputnik Thursday. "In Germany, the petition, promoted by Helga Zepp-LaRouche of the Bueso party is waking up the peace movement which has been dormant so far. Rallies and events against NATO deployments have taken place in Ramstein and elsewhere," he pointed out. "In France, 700 people signed [the petition] within a few hours. Many Frenchmen are furious that after Sarkozy, Hollande has made France integrate even more with NATO. The petition has also been signed by presidential "left Gaullist" candidate Jacques Cheminade, who stressed in a recent interview with RT that the current situation is "worse" than the Cuban Missile Crisis," the French journalist underscored. "In Italy the petition promoted by Movisol was signed by former Senator Lidia Menapace, a famous anti-fascist partisan which recently denounced Renzi's violation of the Italian Constitution. Another supporter is Elena Fontana, a former city councilwoman from Chiari (Brescia), now representing center-right parties and PdL (The People of Freedom) of [Silvio] Berlusconi. Signers and promoters of the petition will participate with other actors of the peace movement in a Bologna demonstration organized by Portico della Pace against the NATO nuclear modernization drive," Vereycken told Sputnik. "In Belgium, Agora Erasmus, a co-sponsor of the petition, has participated in a similar demonstration in Brussels. Several Belgian MPs, who signed a previous petition against the modernization of nuclear weapons on Belgian soil, are expected to sign the new petition," he stressed. According to Karel Vereycken, a combination of a failing financial system — "as seen in the case of Greece" — with a growing drumbeat for war and a full-scale modernization of US nuclear weapons stationed in Europe clearly shows that the European leaders refuse to learn the lessons of history. Meanwhile, "NATO is "playing" dangerous war games without realizing this isn't a game," the journalist underscored, referring to Swiss economist Gothard Frick, who wrote in his mid-May article for the Chinese daily Global Times that it is not Russia who is threatening peace today. The goal of the current initiative is not to have some "other petition" but to spark a broad public outcry against the countdown for war which consciously or not, is putting world peace in grave danger, Vereycken stressed. Europeans know that Russia does not pose any danger to the EU. Bruce Konviser of Deutsche Welle reported Thursday that ahead of the summit NATO "is struggling to assemble four battalions to safeguard its eastern flank from a possible Russian attack." "The US, Britain, and a reluctant Germany have each agreed to lead one multinational battalion. But so far NATO's other major players, France and Italy are balking at leading the fourth battalion," Konviser writes, adding that at the same time many Alliance's member states are "falling short of their economic commitments" to NATO. The Alliance has outlived itself, having lost its 'raison d'être' back in the 1990s, when its adversaries — the Soviet Union and Warsaw Pact — ceased to exist. 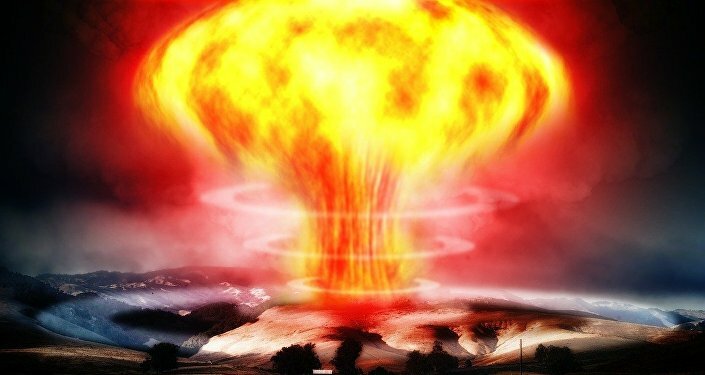 "To escape the current countdown to nuclear war, we call on our government to create without delay the conditions for a new global peace and security architecture, based on the win-win cooperation proposed by the BRICS, cooperation which Europe and the United States, in their own interests, should join in. The vast efforts we spent for war in the 20th Century, have to be mobilized today for peace and mutual development!" the anti-NATO petition emphasizes.